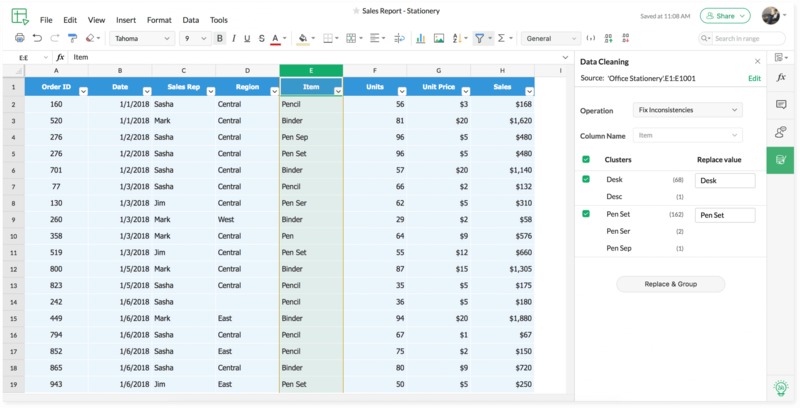 Functions, charts, pivots, comments, and all that's needed for collaborative data analysis. Why let distance be a barrier to productivity? 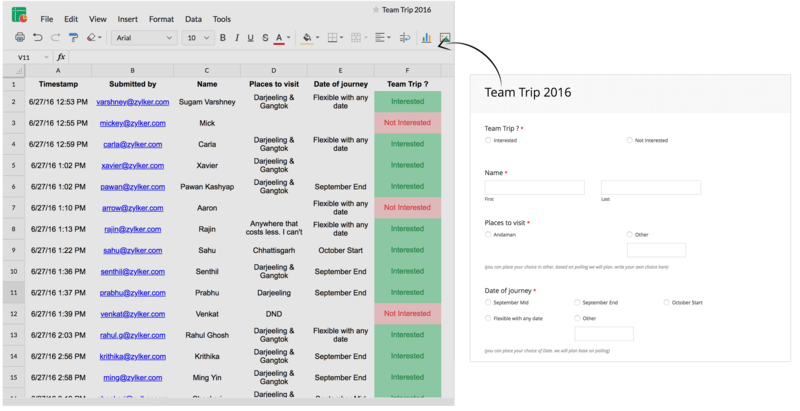 Work with your colleagues, make edits, drop in comments, and start discussions, all inside your spreadsheet, all in real time. Learn more. With cell/range-level user-specific lock settings and Audit Trail, make sure your data, however large or small, remains safe and sound when you're not around. Version History ensures your data is backed up, in case you need it later on. Learn more. 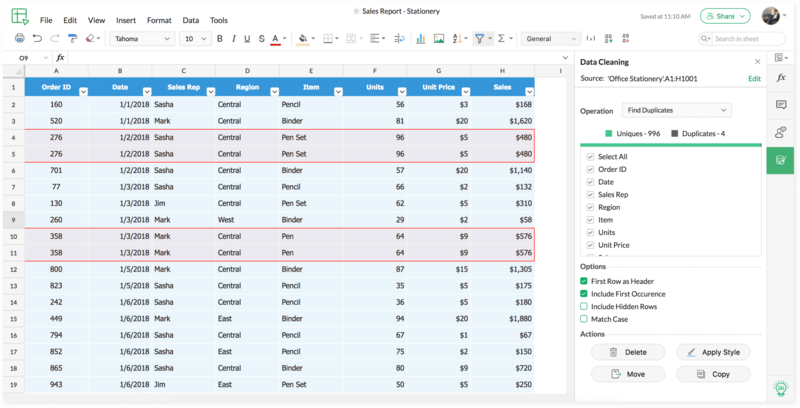 Transform your data into vibrant charts and pivot tables—bend your data to get the output you're looking for. Ask all your data-related questions to Zia and get instant answers. Learn more. 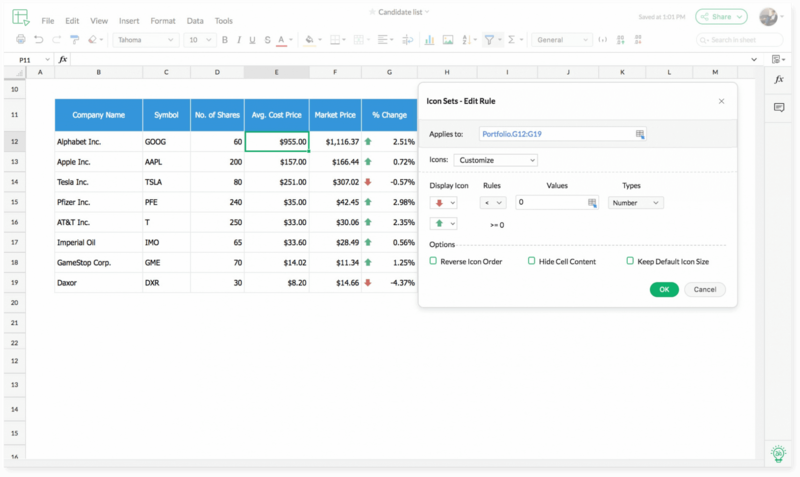 Zoho Sheet supports more than 350 predefined functions that help you perform basic and complex calculations without any hassle. 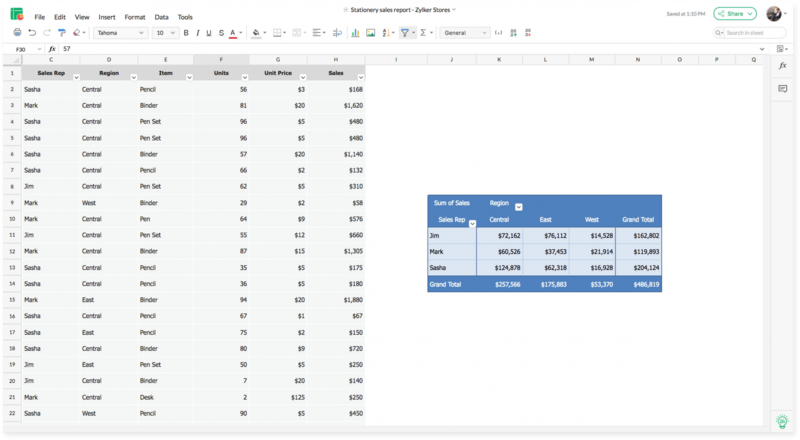 With custom functions, we make sure you have all the secret formulas to get the right results from your raw data. Learn more. Let's face it. A lot of collaborators means a lot of work getting done, but it also means a higher probability of data duplication, missing values, and data inconsistencies. We bring to you, Data cleaning, a tool that'll automatically detect and help you remove these anomalies in a matter of seconds. Learn more. 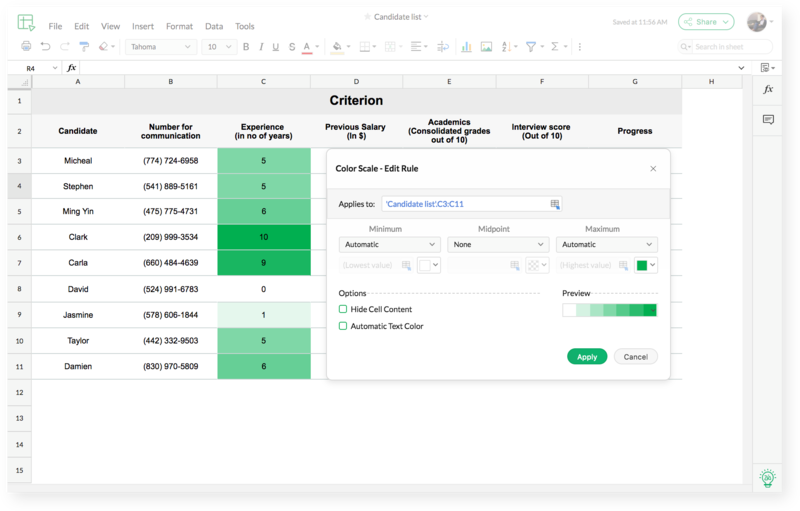 Highlight specific parts of your data with conditional formats and visualize your data series with in-cell color scales and icon sets. 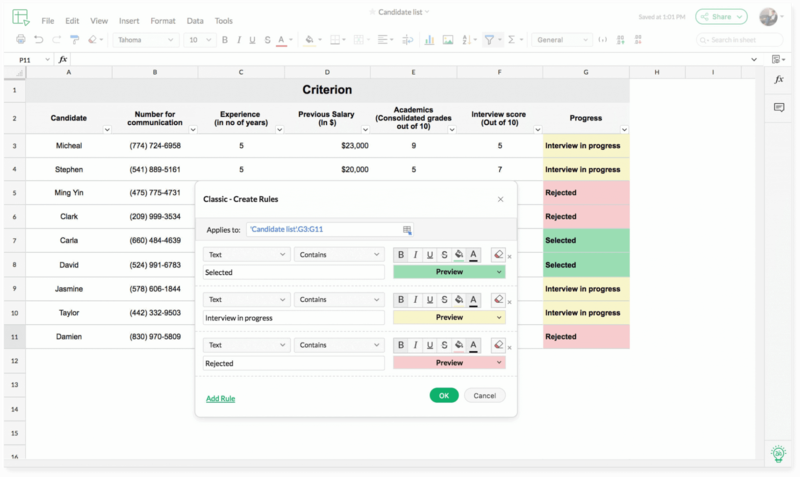 With pick lists, checkboxes, buttons, and data validations, make your spreadsheet less of a data hub and more of an interactive application. 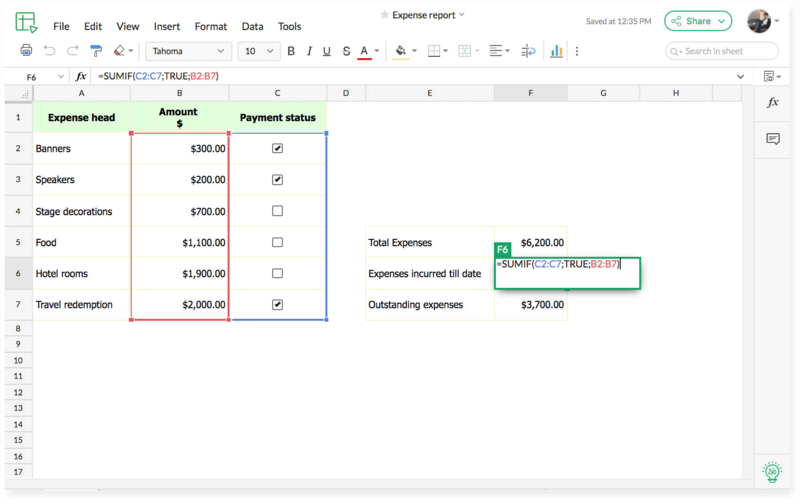 Simply put, evolve beyond traditional spreadsheets. Say goodbye to repeating mundane tasks and start automating. 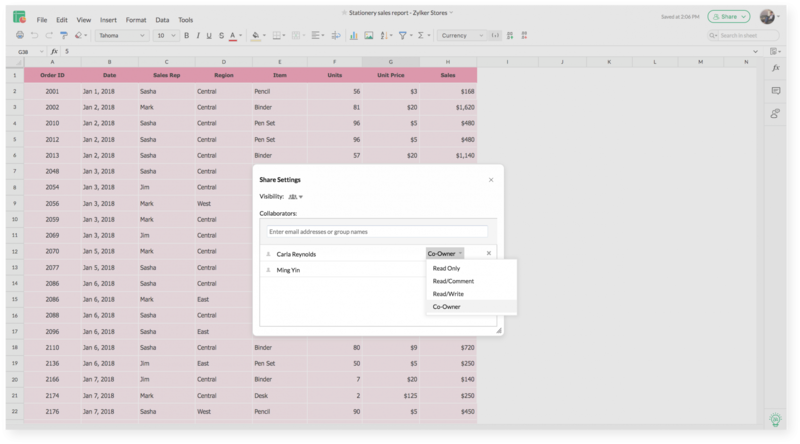 Record macros for simple tasks or use VBA code to create an advanced flow of action with a single click of a button. 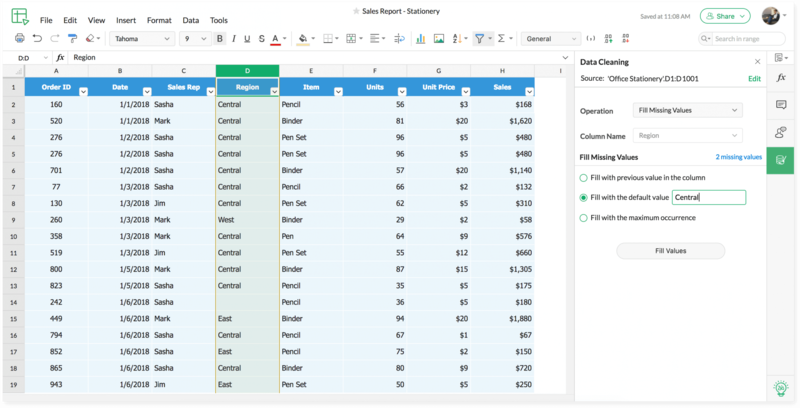 Bringing your spreadsheets into Zoho Sheet is a cakewalk, as we support Microsoft Excel, .ods, .csv, and .tsv files. And if that's not enough, we also allow exporting in .html and .pdf formats. 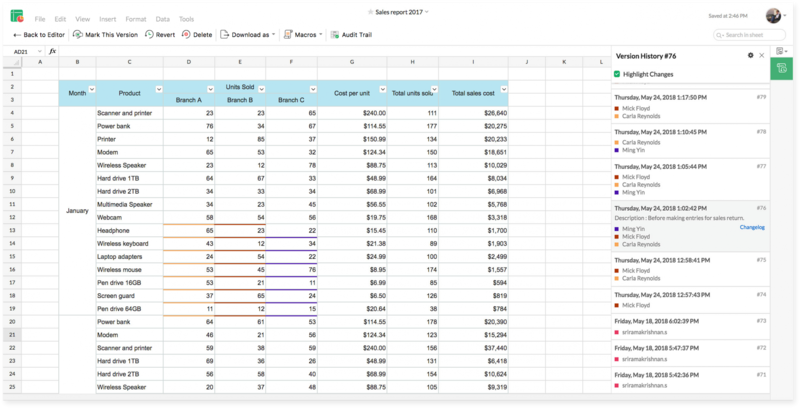 Publish your spreadsheets to the world, and embed your data on your web page or blog to make your statement. Decide who can and cannot view your formula cells, and allow file exports only when you wish to. Learn more. 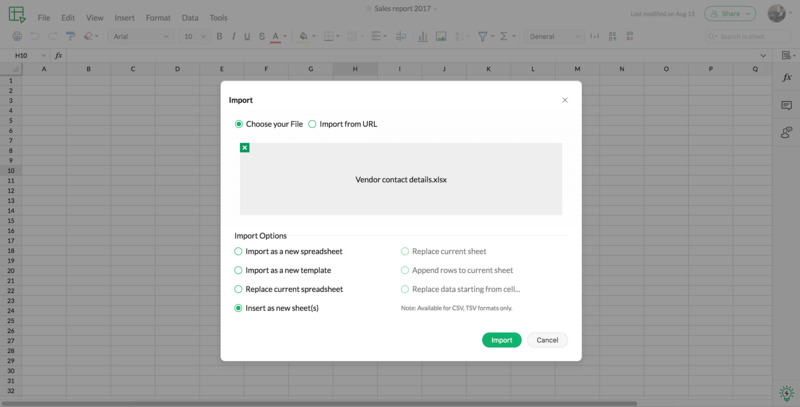 Zoho Sheet's integration with Zoho Forms allows you to create, edit, and publish forms, then collect the data back into your spreadsheets. 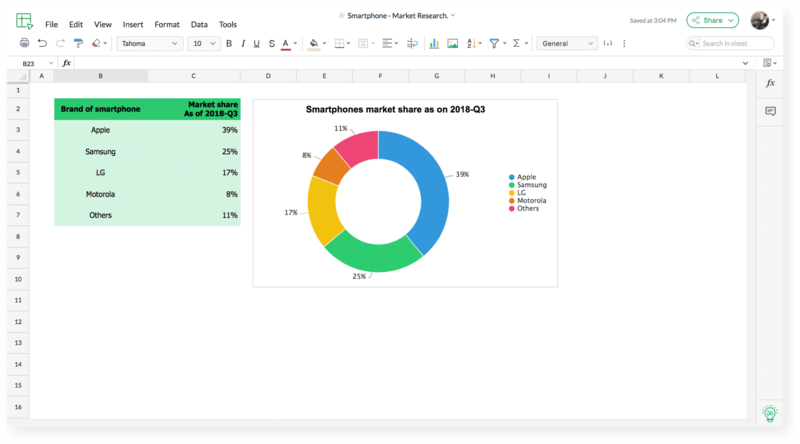 Once you've got it, use Zoho Sheet's toolkit to analyze it all. Why let language limit you? 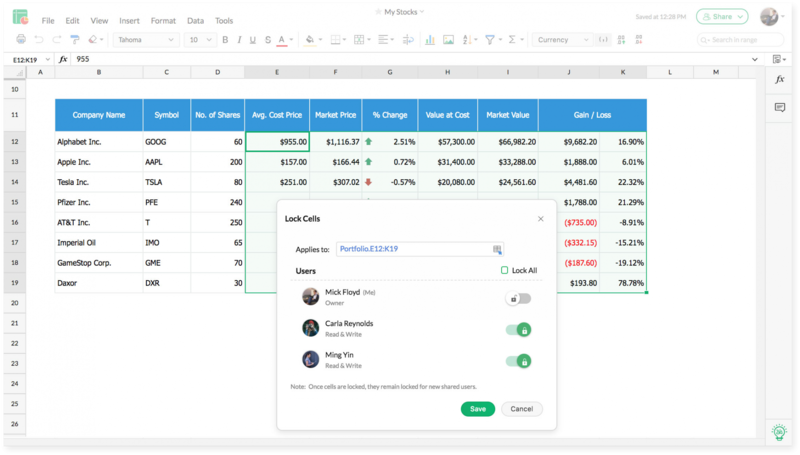 With support for 23 different languages and the ability to easily flip to right-to-left orientation, Zoho Sheet makes sure you always feel right at home. Data knows no boundaries—why should you? 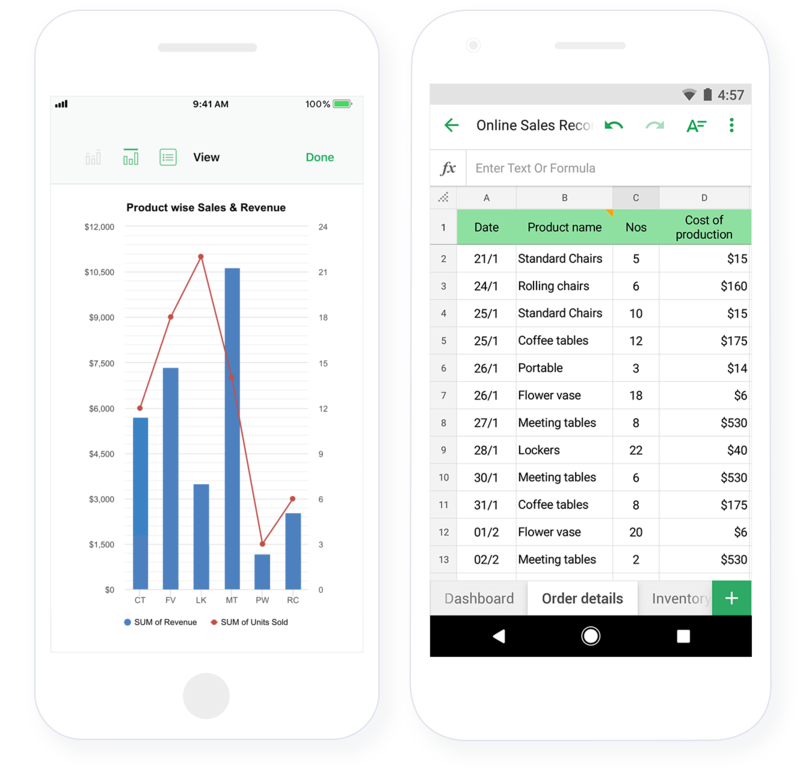 Install the Zoho Sheet app on your mobile devices, and take your data wherever you go. Also, enjoy all the benefits of your devices, with support for the latest features in iOS and Android.